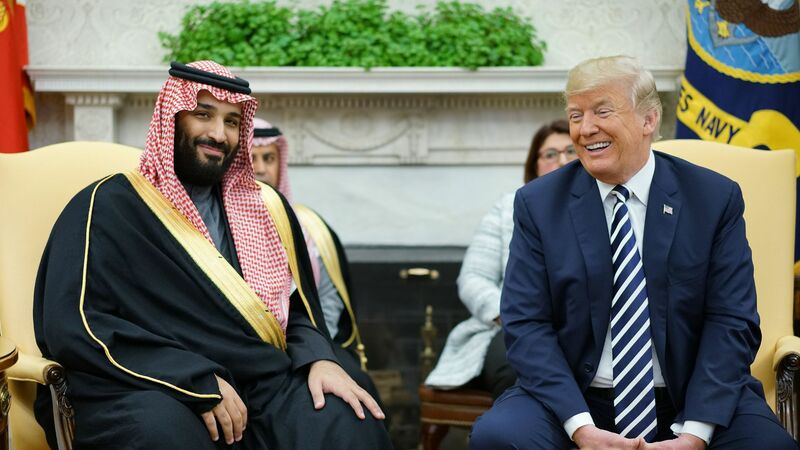 Even after the CIA concluded with high confidence that Saudi Crown Prince Mohammed bin Salman (MBS) was responsible for the murder of Jamal Khashoggi, President Trump bailed him out in a statement on Tuesday. Why it matters: There could not have been a better outcome for MBS and his father, King Salman, who have worked to prevent any punitive action against the royal family. They have now received an almost free pass from the U.S. for this and future acts of retribution against critics and journalists. Meanwhile, the Iranian regime will benefit from Saudi Arabia's loss in the American court of public opinion. Background: The king and crown prince have pleaded ignorance, feigned condolences to the Khashoggi family, attempted to bribe Turkish President Recep Tayyip Erdoğan to prevent further incrimination, stirred up domestic nationalism, and neutralized potential usurpers in the royal family. What's next: Congress can continue to press the Trump administration on the Khashoggi affair — the U.S. Treasury has so far sanctioned 17 implicated individuals — and other U.S.–Saudi issues, including the catastrophic Saudi–UAE war in Yemen. The Global Magnitsky Act, which was triggered by the Senate Foreign Relations Committee on Oct. 10, provides legal authority to Trump to sanction human rights violators and requires his administration to report within four months. On Nov. 15, three Republican and three Democratic senators introduced the Saudi Arabia Accountability and Yemen Act, which requires sanctions be imposed within 30 days on anyone linked to Khashoggi's murder. The bottom line: An era of blatant U.S. permissiveness over abuses of international law by the world's despots — a chapter that arguably began when President Obama abandoned his chemical weapons "red line" in Syria in 2013 — will inhibit dissent and free speech beyond the Middle East. Amid a global backslide on democratic norms, Trump has sent another message that the U.S. is not interested in championing liberal democratic norms. Adham Sahloul is a masters candidate in international political economy at the Fletcher School of Law and Diplomacy and a former researcher at the Atlantic Council's Rafik Hariri Center.